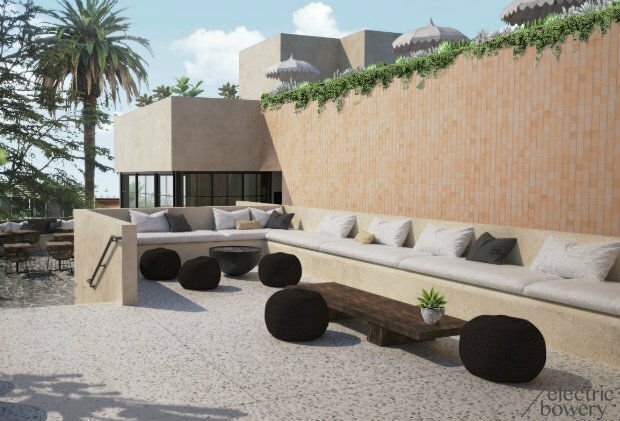 SILVER LAKE — It looks like Sunset Junction will be home to two hotels, with one expected to open by the end of the year. A real estate investment firm is renovating a motel that had been used for long-term stays into a hotel with 54-guest rooms and a new restaurant. “The property will be the first newly revitalized hotel to open in Silver Lake,” according to a statement by Timberlane Partners. 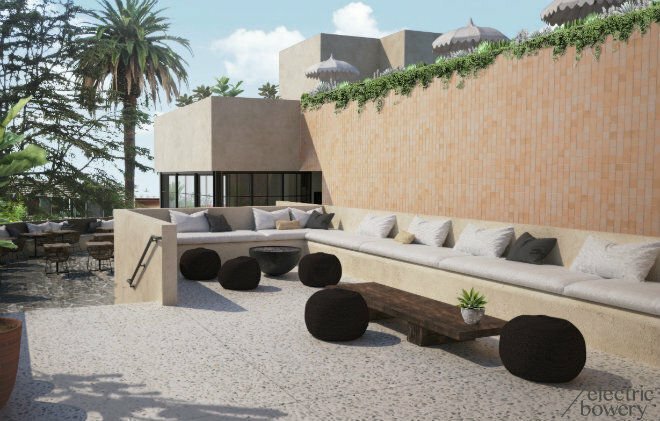 The hotel at 4141 Santa Monica Boulevard will have a big head start over a new, 4-story, 94-room hotel that is planned a block away as part of the Sunset Junction Gateway project. Construction on the Sunset Junction Gateway hotel wouldn’t begin until next year at the earliest if all necessary reviews and approvals are in place. The Timberlane property was built in 1988 as a motel “without active guest amenities,” according to the firm. It had until been used for long-term rentals as studio apartments until the end of last year, when tenants on month-to-month leases had to move out of what was once called the Sunshine City Apartments, said one long-term resident who was paid to relocate. Timberlane did not provide information about hotel rates or what firm would manage the property. “In its new incarnation, [the 4141 Santa Monica property] has been reimagined by Electric Bowery, a Los Angeles-based design and architectural studio, with a focus on the neighborhood’s unique sense of community and distinct personality,” said Timberlane, which has renovated properties in the Silver Lake and Hollywood areas.